Low tech clothes washer. Use one of these to wash and one or more to rinse. Welcome to the insane asylum ! Everything in the book seems to link your freebie to your site. I as most have a very long history of modifying tools or building from scratch to get a job done. "My reading no matter how transient is a dagger in the heart of ignorance." Need one to wear and sand asses, some here are particularity opinionated. 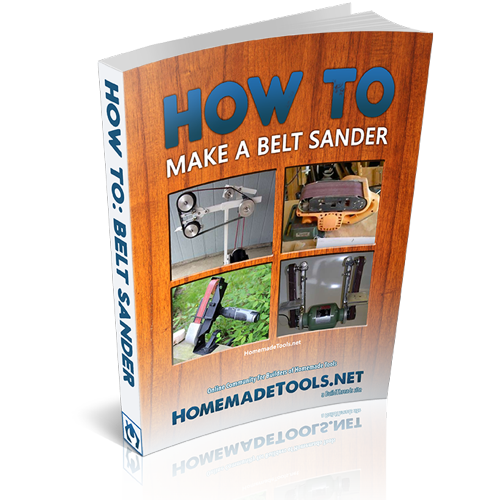 Peace, could not resist this jab, at some hard asses here..
Making a sander depending of the job is easy, to complex in nature , also in the mix is belt life or disk, water flow can help medium life. but wear and tear trumps all. When I saw the title "homemade tool," I thought of you, Dogman.